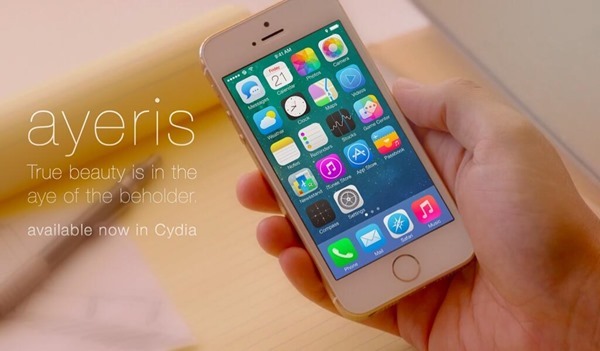 Having teased his delightful new Ayeris iOS 7 theme earlier this month, Surenix has just released it via Cydia. It offers subtle alterations from the native look, toning things down ever-so slightly for a more accomplished overall look, and if you’re looking for a way to tweak your iOS 7 UI without going for the radical overhaul, then Ayeris is definitely worth looking at. 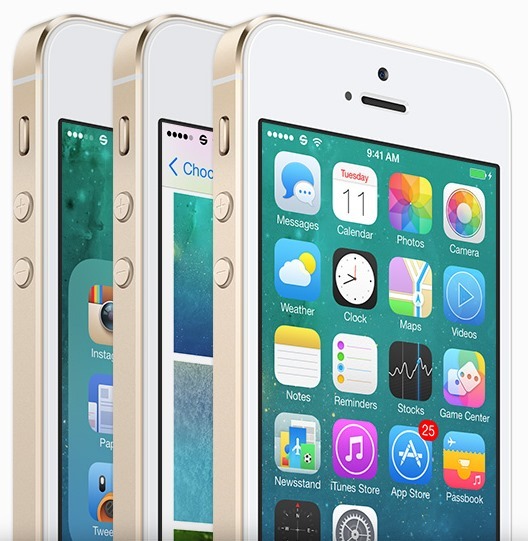 The idea behind this theme, it would seem, is to essentially repair the perceived flaws and mistakes that Apple made with iOS 7. Sure, the mini-furore that greeted the sudden aesthetic modification of iOS 7 now seems to have died down, but in the eyes of a keen, meticulous designer like Surenix, a minor rethink of some visual elements was due. Thus, Ayeris was born, and after showing us a glimpse on Twitter last week, we can now finally feast our eyes on this new look. As you would imagine, Saurik’s WinterBoard package is a prerequisite for those looking to achieve the Ayeris look, but if you don’t already have it running on your device, purchasing the theme will automatically install WinterBoard as well. The theme comes with more than 200+ icons, so you can rest assured that your favorite apps blend in nicely with the theme as a whole. Apart from the newly designed icons, Ayeris also implements a few subtle UI tweaks of its own, which adds polish to the whole package, and makes the whole thing aesthetically pleasing to look at. 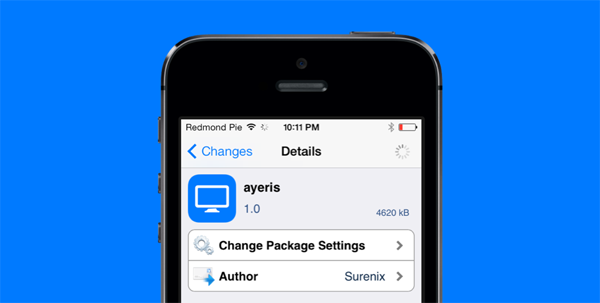 The Ayeris package costs $3.99 and can be found over at Cydia in the BigBoss repo. This is definitely an ideal theme for the purists who don’t wish to deviate too far from the native offering, and with such attention to detail, it’s about as refined as the stock decoration. We’ve gone and picked up and installed Ayeris on an iPhone 5s, and are very impressed with how it looks. Until you’ve actually seen it in action, the screenshots don’t really do it justice, so if you’re currently sitting on the fence, undecided as to whether to buy Ayeris, take the plunge; we’re more than sure that you won’t be disappointed in the end. 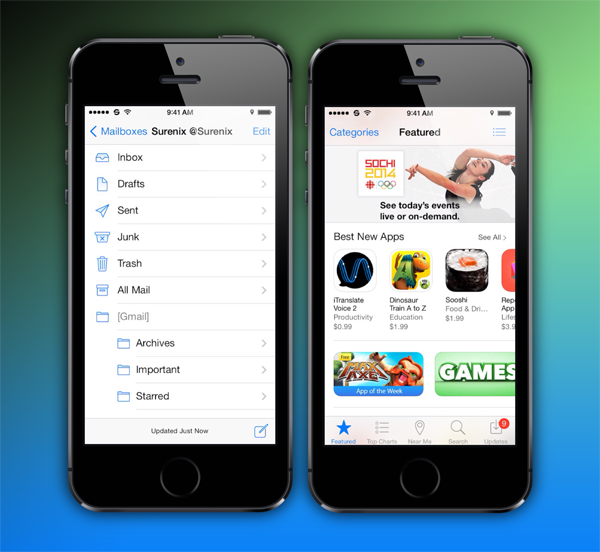 Surenix is famous for his work on Ayecon for iPhone and Ayecon for iPad, which is considered a benchmark theme in the jailbreak world. If you’re interested, it’s highly advised that you give Ayecon a shot too.